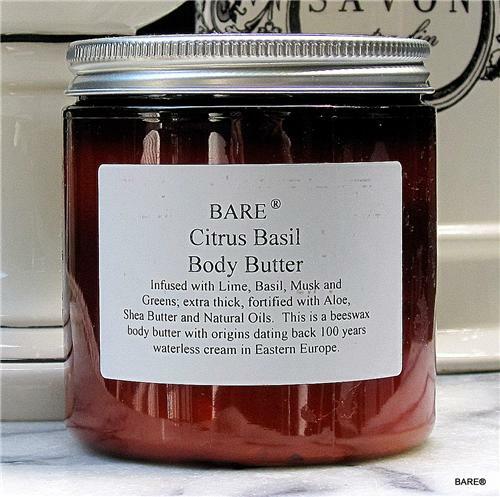 BARE Citrus Basil Body Butter is extra thick, rich and fortified with Aloe, Shea Butter and Natural Oils and infused with Lime, Basil, Musk and Greens. It is a traditional beeswax and borax body butter with origins dating BACK 100 Years. Over 98% natural, highly emollient and having over 50% oil content.